The Days of Johann, an agility dog! : The heat is on! With temperatures rising, there are many dangers for us dogs - hot cars, heatstroke, burned pads, and more. Here are some great links to help educate about all the potential dangers. Check them out and pass them to your friends and family! Great information! 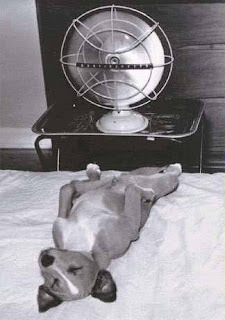 Dogs can get much too hot in the summer.